Dawn’s coaching on executive presence has made a considerable impact on how I am viewed as a leader. Before working with Dawn, I had no idea that my visual appearance was hindering my professional career. Dawn helped me realize that the first impression I give is my point of entry everywhere I go. I now have confidence in myself along with respect from my peers and direct reports. How they now perceive me gives me credibility as a leader. I am able to deal with conflict by shifting my attitude and my opinions have become more valuable. Before meeting Dawn, I was very set in my ways. I have always liked fashion and thought that I dressed well and looked good. I really believed I had it all going on. What Dawn brought to my attention was that I looked older than I was and I was dressing like it too. My clothes were outdated and too big for me. My jacket didn’t fit me well and my pleated (and cuffed) pants were at least two sizes too big. Working with Dawn has left me feeling more accomplished, professional and confident. My new image is magnetizing to clients I want to work with. This new confidence has also helped me with weight control and improved my overall health. I highly recommend Dawn’s expertise. She is knowledgeable, fashionable, fun and excellent at what she does. I have learned a completely different set of communication techniques that have significantly improved my relationships with others. Before working with Dawn I had a negative perception of myself. I was lost, confused and lacked confidence and visibility. Dawn helped reignite my desire to get back on track, focus on the things that matter to me and guided me on how to achieve them. She listened to who I am and how I want to be perceived and then used her expertise to build my confidence and personal brand. When I first met Dawn I was lacking my sparkle. I felt I had some confidence, however, it wasn’t enough. I wanted my “IT” back what ever that “IT” was. 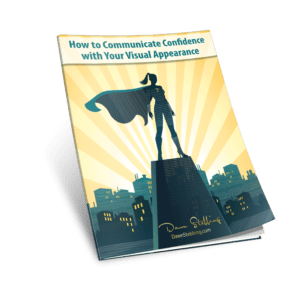 Dawn helped me find it, by defining my personal brand, and gave me permission to be who I am and how I want to be perceived. I feel more confident with my appearance on the outside, which has helped me feel more solid all around. My journey was amazing, I look and feel fabulous, I got my WOW Power! back. I highly recommend working with Dawn if you are looking to get your “IT” back Thank you Dawn!